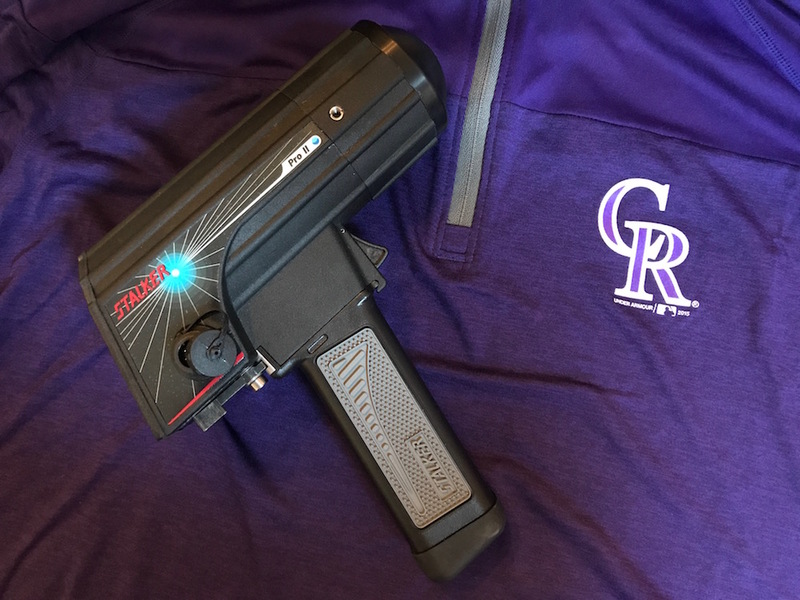 When I retired from playing professional baseball after my 16th season, I signed on with the Colorado Rockies as a pro scout. At the time I’m writing this, I’ve just finished writing reports for 427 Major and Minor League players on 17 teams over a 4 month period. During this time, it’s my job to analyze each player and project what potential he has for “making it” – which means evaluating his chances of becoming a contributor at the Major League level. When you’ve studied that many swings, you begin to see some pretty obvious patterns. Clearly, there are some of the consistent difference between the good players… and the ones who are likely going home soon. I’ll tell you one thing… It’s made me wish I could have been a scout for a season before I started playing! It would have helped me focus on the things that were important and not oversaturate my mind with thousands of insignificant mechanical changes. In the age of slow-motion video analysis it can be easy to focus on every small mechanical move and get too complicated with the swing. The more I talked hitting with players, the more I started to realize that the players who found success and consistency over a long period of time at the high minor league levels and the Major league level had one thing in common… they didn’t over complicate things. The players who are consistently good are very deliberate about keeping things simple. Lets be honest, it’s pretty easy to over analyze video and become so mechanical in our swing that we become robotic. 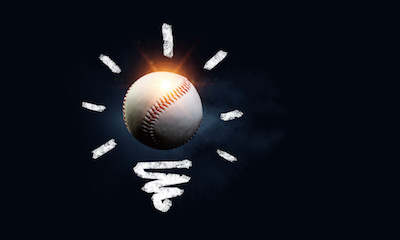 After watching hundreds of different players step into the batters box this season, I took 3 simple moves that most Major leaguers do that others do not. These moves may not solve all your problems but it will get you on the right track, and allow your focus to be on the pitcher so you can compete when you get in the batters box. Hitting is hard enough, the goal is to simplify and declutter the mind. Proper bat angle is when the barrel is behind the head around a 45 degree angle as you are striding and getting into a “launch position”. It makes it SO MUCH EASIER to achieve a consistent swing path, which is key to hitting. You can’t hit the ball if you don’t know where the barrel is! The barrel gets in the zone early & has potential to have length through the hitting zone. Hands stay closer to body and swing is more compact. Barrel has room to build up bat speed before it enters hitting zone. Mike Trout is a great example of a hitter who has a quality bat angle. These are a few variations of good bat angles. There are a lot of hitting coaches teaching big moves, hitches and big leg kicks. This is not necessarily a bad thing, but the timing element becomes much more difficult. Many hitters either don’t have enough time to get their barrel behind them (because their timing is late) or their barrel path stays more upright and stays in front of their head. Attack angle gets steep and inconsistent. Barrel is in and out of zone quickly. Swing becomes upper body dominant. Hands get away from body and will struggle vs pitches away. Swing cuts off, out and around pitches with decreased length through zone. Homers, homers, homers, launch angle, and homers. When these thoughts get in our head (which they will), our natural tendency is to try to pull everything. Pulling the baseball is not bad, I became a much better hitter once I learned how to pull the ball correctly. …we can only cover the inner 3rd of the plate. …we become susceptible to off speed pitches. … most pitchers are comfortable working away, so now we can’t handle the location most pitches end up. When your body and bat direction are working up the middle, the barrel is in the hitting zone longer and can cover more pitches. If you can hit a fastball up the middle, and the pitcher throws an off speed and gets you slightly out front, that is the pitch you can pull. If you are already pulling the fastball and you get an off speed pitch, there is not much room for making an adjustment since you are already out front. The result is more swing and misses! I’m not saying, never pull a fastball, not at all. But in this cat and mouse game with the pitcher if you can show him that you can handle pitches on the outer half, especially early in the game, maybe you can sit for a fastball on the inner half of the plate (count dependent) and look to pull something later in the game. But if every swing is looking to pull the fastball on the inner 3rd of the plate – and our body and bat direction follow – we give the pitcher too many ways to get us out and we become a 1 dimensional hitter. Timing can be complicated, has so many layers and is a part of everything we do as hitters. But, to simplify, the best hitters never look rushed. When you watch them, it seems no matter how hard a pitcher throws a ball, that they are waiting on the pitch. Because of this, they look more relaxed, are able to consistently take better swings and see the ball better. Mechanics often break down due to poor timing. If your mechanics don’t look tight and you feel it’s time to make some swing changes, wait, take a deep breath, and check the timing first. Most times, timing is the real issue. It’s better to be early than late. Always be on time for the fastball. It’s easier to adjust to slower pitches than to look off speed and have to speed up. Pay attention to your takes when the count is 2-0, 3-1, 1-1, and you are ready to swing the bat. If your front foot hits the ground hard and you loose fluidity, most likely you are a little late with your timing. Timing is an easy concept but very difficult to find. It will be a daily battle and as quickly as you find it and are locked in, it will leave you and you will be scuffling to find it again. Joe Mauer is the best I’ve seen with his timing. His actions are so controlled and fluid, It looks like the pitcher is throwing from 90 feet away and he sees the ball so early. If you aren’t seeing the ball well, your mechanics are not what you want, or you are swinging at bad pitches, your timing should be the first thing you check. Most hitters I’ve seen this season struggle with at least one of these 3 characteristics of a quality hitter. Many struggle with all 3! Taking the time to focus on these 3 swing traits will help any hitter improve. Hitting is very difficult, lets not forget how hard it is at any level. Part of what attracts us to this beautiful game is how AWESOME it feels to square up a baseball. When we watch some of the best hitters in the world, they can make it look much easier than it really is. Remember to not overcomplicate things, look for these swing traits with other major league hitters and see how you can benefit from improving your bat angle, bat / body direction, and timing.